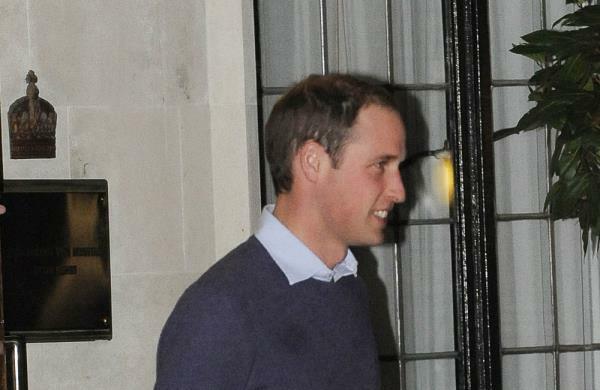 Britain's Prince William has made his first official public appearance since becoming a father. The 31-year-old royal - who became a dad for the first time when his wife Duchess Catherine gave birth to their son Prince George on July 22 - took part in the Audi Polo Challenge at Coworth Park, Berkshire, South East England on Saturday (03.08.13), alongside his brother, Prince Harry. Meanwhile, it has been revealed William has been singing Coldplay songs in order to get George to get back to sleep as he is up six times a night and is keeping Carole and Michael Middleton, the parents of Catherine - previously known as Kate Middleton - awake. "It's even keeping Kate's parents awake. He's been singing 'Paradise' and he also loves doing 'Yellow'. George responds to Coldplay's songs the most and settles back down." William and Catherine are looking after George at her parents' home in Bucklebury, Berkshire, but William has been ducking out of morning greetings by heading back to bed to catch up with some much-needed sleep following his nighttime singing sessions.